makes sense ... and glad you're busy! this makes sense too ... definitely gonna try the cooling stem once i'm confident in my "stock" hit consistency! you are gonna be so happy with your decision! The stems it comes with are great for learning your technique. 420edc may have a stem that fits that won't break the bank. 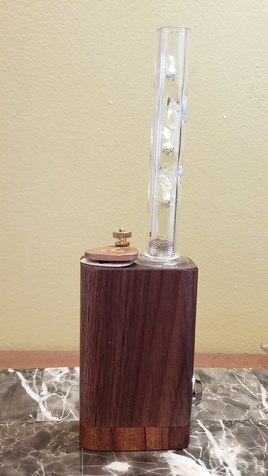 It would be a long glass stem vs a cooling stem or custom wood stem. 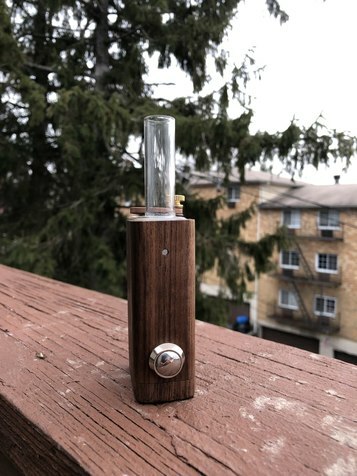 Curious how do you plan on cleaning the inside of the new wood stem when the time comes? I was going to use hot water on a q tip to clean once a week after a session so its warm. I was thinking the same but then again would not cleaning it effect the performance? I was thinking that it wouldn’t. it would probably effect the taste of your flower because of all the build up of different strains. That being said if it doesn’t effect performance is it really necessary to clean the wood stem. 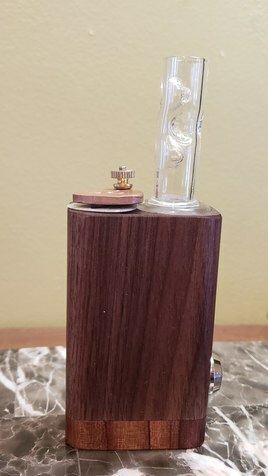 Wouldn’t the reclaim just make every hit more potent ? I've got less expensive straight stems now too. I just have not listed them. most folks use alcohol. But never ISO alcohol. More like Whiskey or Brandy. so combusted in my maple stem the other day. Tasted like crap after. Scrubbed with a qtip soaked in iso and let to dry over night. Next day still tastes like combusted crap. Ran like 6 stem fulls of herb through it and the good flavor came back. That’s just how it is. Kinda inherits the flavor that it’s exposed to. Also notable; the wood stem didn’t really get as gunky and resin-y as a glass stem usually does. For whatever reason it seems to stay slightly cleaner. Yes. Never use ISO on wood! But yeah these other alcohol's will work. It would definitely work and the seasoning the whiskey/brandy would leave behind would enhance the flavor. I've see grain alcohol mentioned as an alternative before as well. 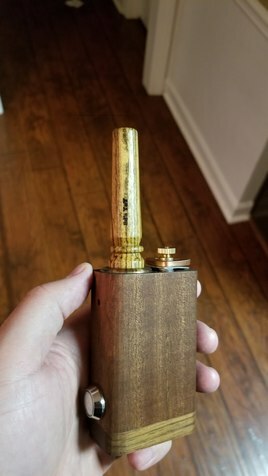 So if you happen to have some in the house you have a new way to clean your wood stem. looks like my sticky brick jr is gonna get a bath today ... i have some knob creek bourbon ... sbj and i will be sharing it! @Dr green thumb I think those are more like one-offs....but I bet he’d be liable to make a few if there’s some demand! So I'm out of Milaana 2 until next week sometime but Ryan and I got together and want send the vape master @vapecritic a nice little care package. We are not expecting anything in return. This is out of respect for what the man has done in the industry and how he helped blaze a trail for all of us. 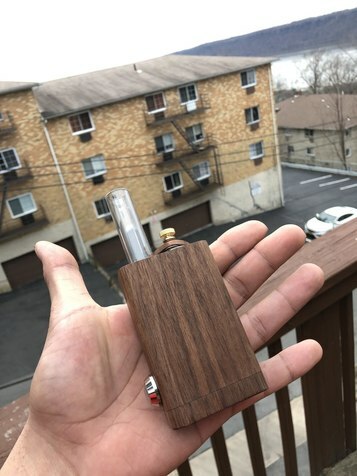 Well you all know I'm a big fan of RBT and feel it's some of the best out there.. especially in the artisan portable game. 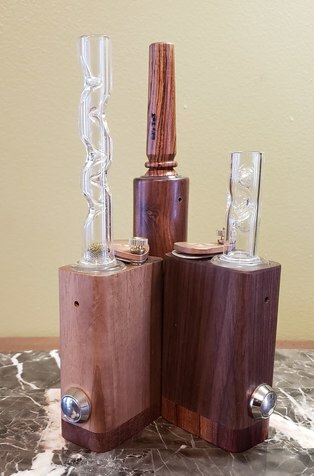 You may also know I'm a big fan of @ed's TnT so I put my two favorite manufacturers together and asked Ed to make up some wood stems for the Milaana/Splinter. 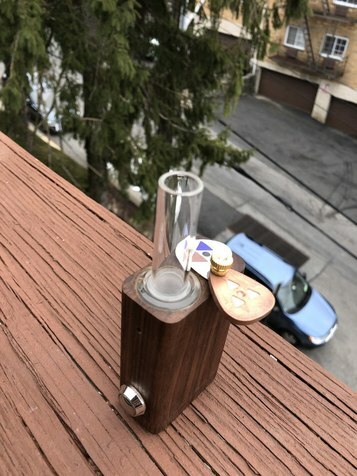 Anyway I don't have any Milaana 2 I'm stock at the moment and I want to get this package out. Hopefully Bud has enough time to try these out before Champs. We plan to meet up and I'm hoping to get his thoughts first hand while there. So with me being out I reached into "the drawer" and I'm sending him this very gently used backup that I had. This is Sapele with a Zebrawood cap. 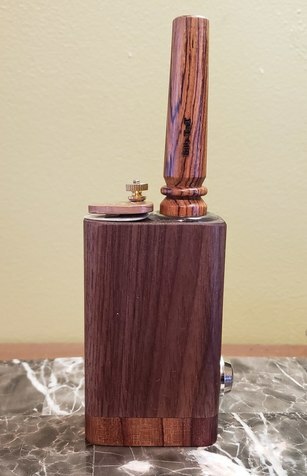 I topped it off with a Bocote Ed's long stem which also serves as a 14mm WPA so Bud is in business from the get! Now there is a few other things in there but I don't want to ruin the surprise. Bud, I hope you like this baby and the other stuff we included. It's the least we can do for a legend in the game! Can't wait to meet at Champs! Bud is going to love that. 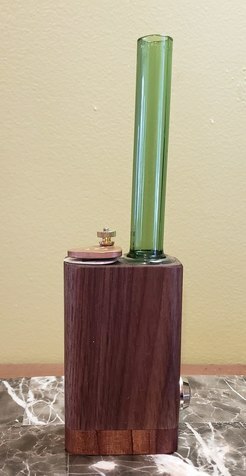 The milaana2 with the stems from Ed's tnt hits like a truck. Man I’ll tell you what... I get a care package like that and I will be one happy camper with a very big smile for a very good while :up: :up: Hope You Enjoy It Bud! good lookin out. Just that beauty would be a killer package! dang @Other Side bud's gonna love it ... i love the sapele wood bodies (like mine)! That is absolutely beautiful! Bud’s going to really dig it I’m sure. Kiddo ‘s big time! Dope bud getting hooked up ! Mines gets here today will post pics when I get back from work.
. Now can anyone tell me which way battery goes so I can rip this thing manual doesn’t say and they is no indicator. Negative down or positive down ??? I usually insert positive side first and cover the negative end with the pick. Also a 5 second heat up before the first hit helps. The battery should always be positive down and negative at the copper. thanks a lot man I’ve Ben very paranoid bout these batteries a lot of scary stories. Will post back in about 15 mins how first session went.